The Curivari 10-Cigar Collection includes an outstanding assortment of cigars from one of the hottest boutique brands on the market. Crafted in small batches using classic Cuban techniques, you'll be able to indulge in Curivari's popular tobacco culture. 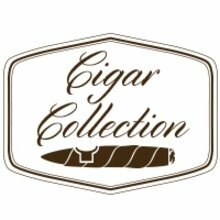 This collection includes 4 assorted Curivari Reserve Limitada, 1 Achilles, 1 Buenaventura, 1 El Gran Rey, 1 Gloria de Leon, and 2 assorted Curivari SP Seleccion Privadas. Absolutely surprising smokes. remind me of a few Cubans I've enjoyed over the years. Very complex in flavor and aroma. First time trying Curivari, and I love this line! Reminds me of a batch from Belinda (from the 90s) that just blew me away. These have more complexity, and I do find myself wishing I could eat the nub at the end. Delicious. 5 out of 15 found this review helpful. I heard about Curivari at my cigar club and was delighted to buy 2 samplers. They are great smokes with rich aged tobacco flavors, good construction and consistency. Reminds me of aged Cubans I’ve had. All in all these are top shelf cigars at a great price. I love them! Bought the sampler for a large party, was not expecting an excellent smoke, think I have found my go to cigar. Will look for these on sale. Great sampler! Very much worth trying the different blends under this boutique brand. Won't regret!